Anything can happen along and on the road. No matter how we want to avoid them, there will be accidents, mishaps, and misadventures. While we may exercise extra caution to prevent accidents, even the most defensive and competent drivers and motorists are not immune to road emergencies. It does not matter who or what caused the incidents. When you find yourself in the middle of one, you just have to be prepared to face it. You have to stay on top of your situation, especially when you’re out in the middle of nowhere. If you find yourself needing roadside assistance Texas, we have the solution for you. 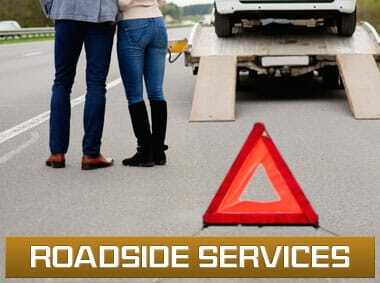 You can count on us to provide the best and most competent roadside assistance Dallas. Our company 360 Towing Solutions and their network of licensed affiliates experts offer various services that could be exactly what you need to get you back on the road. From simple tasks such as gas delivery and flat tire change to towing service, we will be ready to help you. We and our network of independently owned and licensed affiliates and their network of licensed affiliates experts. also, have on call qualified car lockout team if it is a lockout or broken key that hampered your trip. If you need to jump-start a dead battery or quickly fix an engine trouble, we will send an expert mechanic and you will be on your way in a matter of time. If you have a vehicle-related problem that you think is beyond your competence, don’t deal with it alone. Call the experts and professionals. Call us and we are more than ready to provide emergency help. Our services are available 24/7. You don’t have to worry should you need roadside assistance in the middle of the night or in the wee hours of the morning. If you are confronted with roadside problems in Dallas, Texas, we are here to assist you. We can easily dispatch a qualified team to assess and handle your situation. Give us a call or SMS and provide us details on the condition of your car so that we can properly assess and bring in the experts to work on your problem. If your car breaks down for whatever reason, call us and we will be there at your location to provide prompt assistance. You won’t have to wait and suffer from anxiety, especially if you are in an unfamiliar road. Our pool of expert technicians will see to it that you are covered. We at efficient 360 Towing Solutions provide fast and efficient services. You may be apprehensive that the service provider might further cause damage or wreck to your high-end vehicle. However, you can be assured that your car is safe with us. We and our licensed affiliates will expertly handle your car and move you and it to safer ground. Our fast and efficient service crew are part of our many teams of certified and qualified technicians. We only hire experts in the field so that every task or job that you entrust to us will be worth your money. So, if you need emergency help along your travel in Dallas, Texas, we’re here to back you up. We provide fast and efficient 360 towing solutions. You may be apprehensive that the service provider might further cause damage or wreck to your high-end vehicle. However, you can be assured that your car is safe with us. We will expertly handle your car and move you and it to safer ground.